IMAGE: England's players celebrate after winning their match. Photograph: Adnan Abidi/Reuters. England held their nerve to beat Sri Lanka by 10 runs in a thrilling World Twenty20 Group One match on Saturday, reaching the semi-finals and knocking the defending champions out of the tournament. 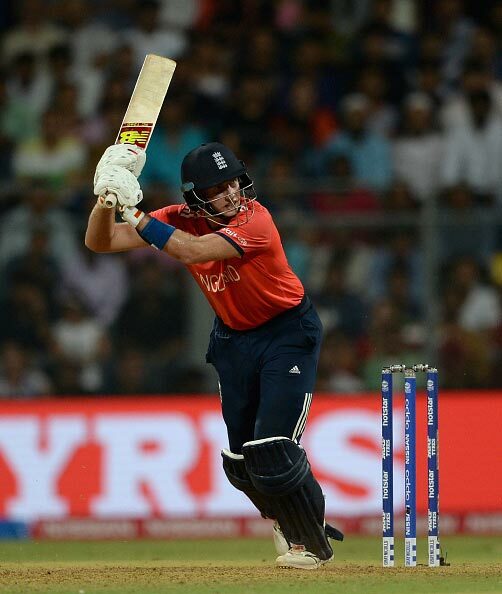 Jos Buttler struck a blistering unbeaten 66 to power England to a commanding 171-4 after they had made a slow start. IMAGE: Sri Lanka's Lahiru Thirimanne, centre, reacts after his dismissal as England's players run to celebrate. Photograph: Adnan Abidi/Reuters. IMAGE: England’s Joe Root in action. Photograph: Adnan Abidi/Reuters. 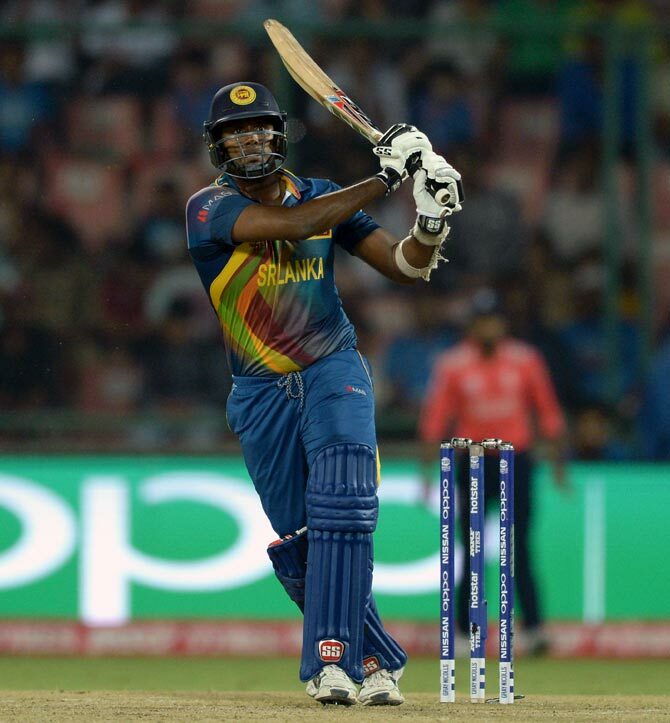 IMAGE: Sri Lanka’s Angelo Mathews plays a shot. Photograph: Adnan Abidi/Reuters.